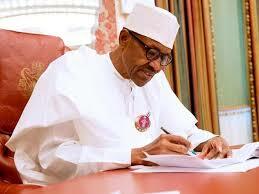 Nigeria’s President, Muhammadu Buhari has written to the National Assembly seeking approval for a loan request of $6.5 billion, Owojela’s Blog reports. Buhari’s appeal was contained in a letter read on the floor of Upper Legistive Chamber by the President of the Senate, Senator Bukola Saraki, on Tuesday. According to the letter, the President said the loans will be sourced through issuance of Euro and Diaspora bonds and the borrowing will be used to fund capital projects. Projects listed by Buhari in the letter include the construction of Mabila power project in Taraba State, construction of second runway of Abuja Airport and other major projects across the country. The President also said part of foreign loans will be used to refinance local debts.